I recently wrote a series of post on using Visual Studio to write Node.js. Specifically, I detailed how to write unit tests using Mocha. Here I show the same detail but using WebStorm from Jetbrains. 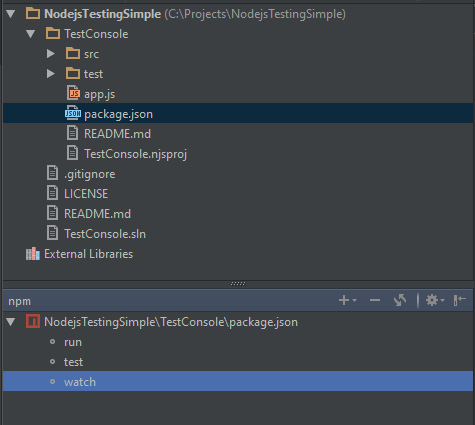 Webstorm was designed for Node.js development. Let’s get started and learn the differences. WebStorm allows developers to clone projects directly from GitHub. This feature is very nice and hopefully this will come to Visual Studio. You can also open an existing folder. Right click on app.js and select Run. You can also choose to debug the project. You should see your run, test, watch tasks. They all work just as in Visual Studio. However, WebStorm has much stronger support for testing than Visual Studio (right now!). But first, you need to add a configuration for testing. All the test run but with a much nicer visualization. 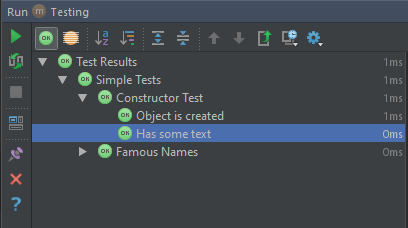 WebStorm has another nice feature. It will auto-test your code when a change is detected. It doesn’t use the watch flag from Mocha. Visual Studio is the only IDE you’ll ever need for just about any language. 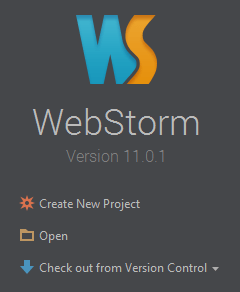 However, if I was ONLY writing Node.js, I would definitely choose WebStorm.